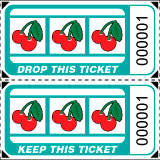 Cherry Slot Machine Coupon Style Roll Tickets - Go ahead and be bold - mix things up a bit ! These Raffle tickets are a fun alternative to normal and boring. Double Roll Tickets with "DROP THIS TICKET" on one half and "KEEP THIS TICKET" on the other half. Use as a raffle ticket for any event. 1000 Double Tickets Per Roll. Each Double Ticket is two inches by two inches, and scored in the center for easy separation. 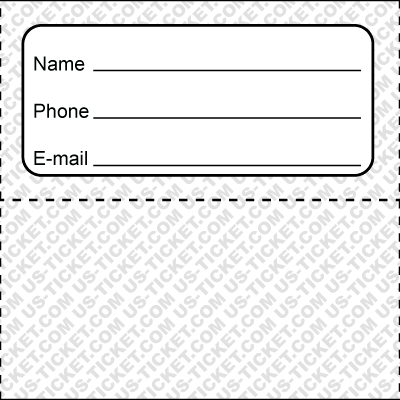 The back of the "Drop This Ticket" has an area for the ticket holder to fill in Name, Phone and Email. 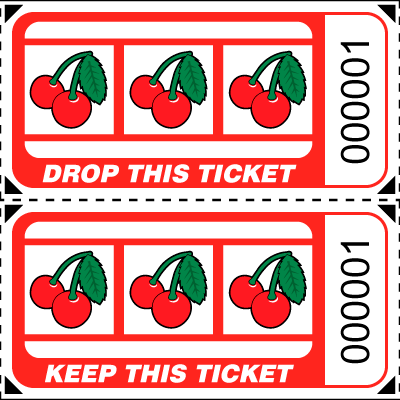 Each half of the ticket measures one inch by two inches with the same number on both parts. 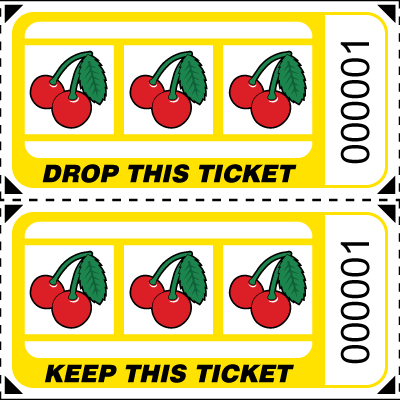 2" x 2" Coupon Style Roll Ticket. 1,000 Tickets per roll - like everything else at US-TICKET these can be customized any way you want - we are just a phone call away !